Wasps are a diverse group, estimated at over a hundred thousand described species around the world, and a great many more as yet undescribed. 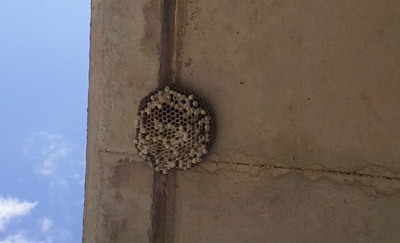 Social wasps are considered pests when they become excessively common or nest close to buildings. 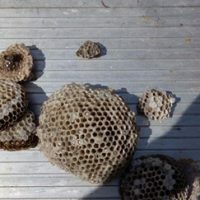 People are most often stung in late summer, when wasp colonies stop breeding new workers; the existing workers search for sugary foods and are more likely to come into contact with humans; if people then respond aggressively, the wasps sting. Depending upon the species of wasp they are usually treated with a liquid insecticide and the nest knocked down and removed. It is important to remove the nest to ensure they do not return. 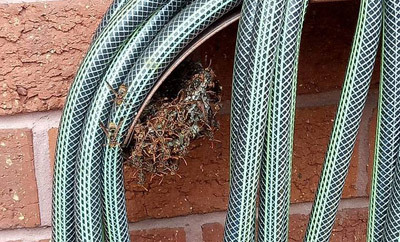 Due to the aggressive nature of wasps, if you are not familiar with the removal of wasp nests, it recommended you contact the experienced team at Clean and Green Pest Management. Bees are flying insects closely related to wasps and ants, known for their role in pollination and, in the case of the best-known bee species, the European honey bee, for producing honey and beeswax. There are nearly 20,000 known species of bees in seven to nine recognised biological families, though many are undescribed and the actual number is probably higher. They are found on every continent except Antarctica, in every habitat on the planet that contains insect-pollinated flowering plants. With bees, depending on the situation there are a few ways to go about it. 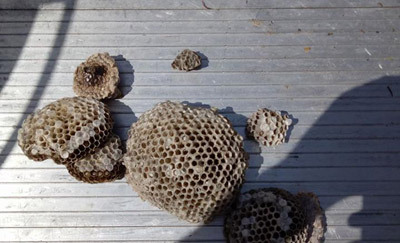 If it is a swarm of bees, we suggest you contact Northern Beaches Bee Keepers for advice. 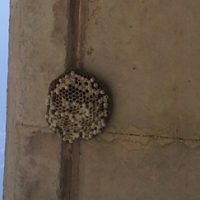 If the bees are in wall cavity and it is impossible to remove them this generally requires a dusting to the entry points and cavities were they are nesting. This will kill the colony living in the cavity. 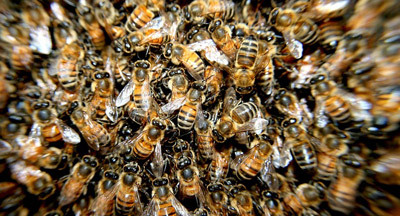 Contact us for assistance and advice regarding bee removal and eradication services. 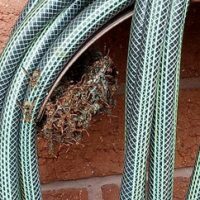 If you have any questions about removing wasps or bees from your home or business premises, contact the team at Clean and Green Pest Management for obligation free advice. We are your local Northern Beaches pest controllers specialising in both traditional and the green pest control methods that are safe for your family and pets. Our licensed pest controllers can advise you on the safest and most sustainable ways to control pests including cockroaches, ants, fleas, silverfish, fleas, rodents, spiders, ticks, and bed bug eradication. We can also assist with possum removal and bird control methods. We strive to give you the best experience possible in terms of value for money, explanation and clear communication about how we plan to implement our services and pest control treatments. Click here for a pest removal quote or click the buttons below to get in touch.